Free yourself and your staff from payroll processing hassles and get back to doing what you do best—running your business. As your local payroll partner, we work closely with you to implement a payroll solution that meets your specific needs. Once in place, you work with a dedicated payroll specialist throughout the process to ensure continuity, reduce errors, and save time and money. Our specialists can address your payroll needs, including check processing and printing, direct deposit, pay cards, and W-2 and W-3 processing. We also help keep you in compliance with tax authorities via up-to-date quarterly and annual payroll tax filings and problem resolution. Our advanced platform offers the added convenience of 24/7 access to payroll reporting, personal paycheck, and tax data. Hurst and Hurst’s sister company, Payroll South, LLC, handles our clients’ payroll. Payroll South is located in our main office, so you receive the same benefits offered by the big payroll companies, including web-based 401(k) and pay-as-you-go worker’s compensation plans. But with this small company comes a big difference: in-person service. We are a locally owned business dedicated to our community, so when you call, you speak with a person—not a voice prompt computer. Whether you’re just starting out or have many business anniversaries, your success depends upon your focus on your core business. Don’t be distracted by payroll and tax compliance. Small-and-medium-sized businesses turn to Payroll South for quality payroll services delivered with confidence. Automatically sign live checks and pressure seal all pay stubs for confidentiality. Deposit and file all payroll taxes including federal, state, and local payroll taxes (if applicable) promptly and accurately. Generate electronic pay stubs with 24/7 online access for employees. 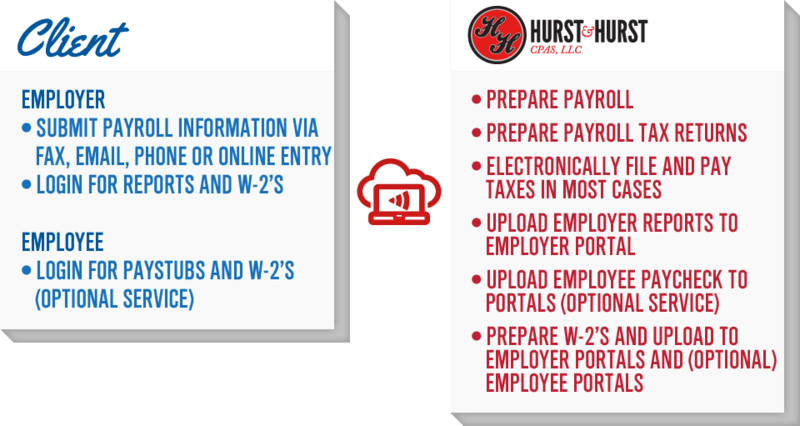 Produce annual W-2 and 1099 forms that can be printed and/or accessed securely online by employees and contractors. In addition, we recognize that payroll/labor is likely your single biggest expense and fully support your accounting function to deliver timely, accurate reporting. Need to give your CPA secure access to your online payroll reports? No problem. Need an interface file that you can easily import into Quickbooks or another accounting system? We are happy to help. To learn more about Payroll South, please call us at 912-384-3322.